I don't do very many tutorials, I wish I had the time and the energy to do more, but this one I just had to do. Last week I made my Roasted Garlic Rosemary Cheese Potatoes for book club. I've already had three of my friends ask me for the recipe as soon as possible, because they wanted to make them for Christmas. So I thought I better get this posted, sooner than later. But the first step in the potatoes, is roasting the garlic. It's so easy to roast garlic, and even if you think you don't like garlic you should give the roasted variety a try. When garlic is roasted it takes on a sweet mild yummy flavor that is delicious. 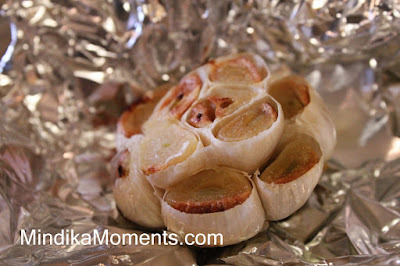 You can use this roasted garlic to make my potatoes or you can eat it plain, spread it on crackers, toss it into pasta...really the uses are endless. 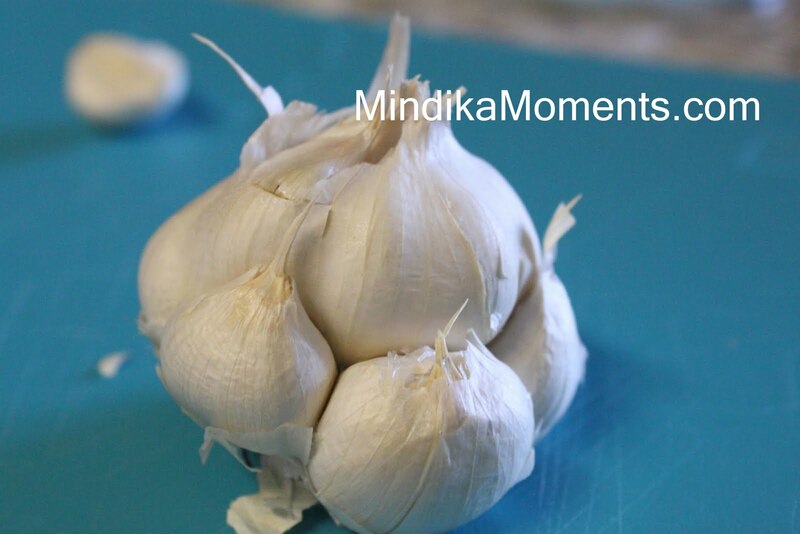 First things first... this is a head of garlic. I've had a few of my non-cooking friends ask me the difference between a head and a clove. When a recipe asks for a clove or two cloves of garlic, it means the individual little bulbs on a whole head. If a recipe calls for an entire head (very rare), it means this entire thing. To start the roasting process, you take an entire head (or multiple heads) clean as much of the outer paper off as possible, then slice off the top so that each individual clove has some open exposure. Then pull up the tin foil around the garlic. Roast the garlic in the oven at 400 degrees for 35-45 minutes. 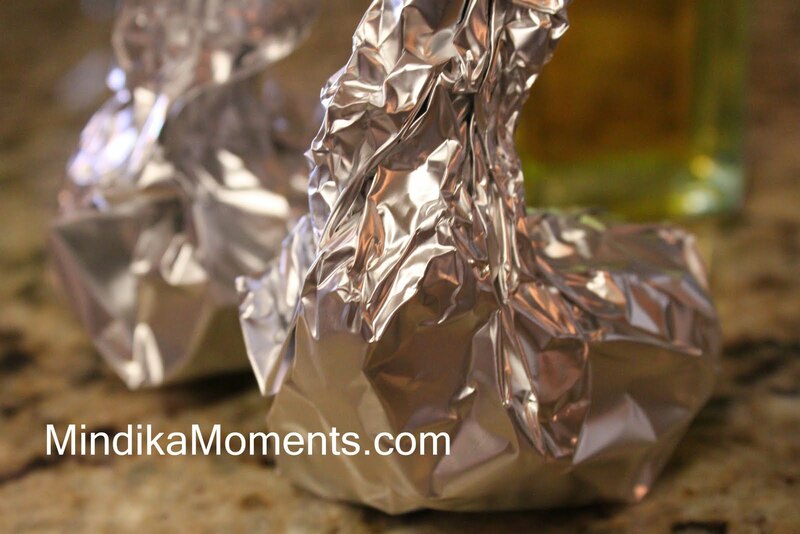 When it's done, take it out of the foil and allow to cool. 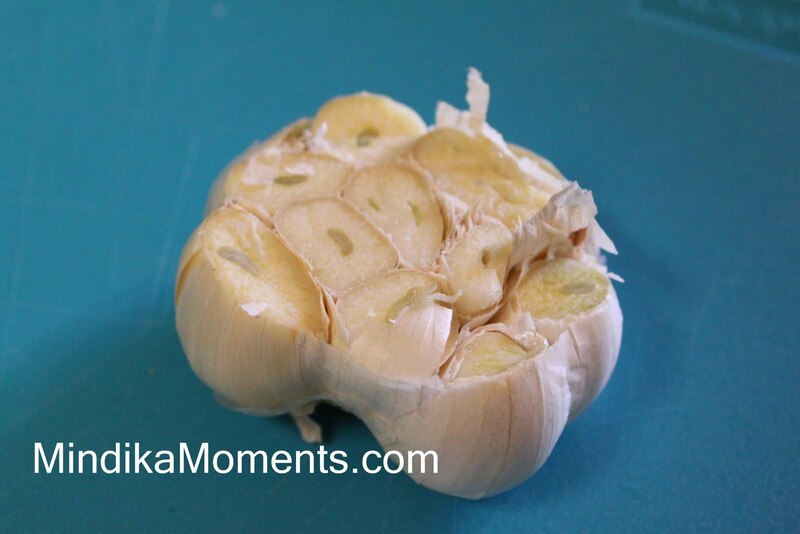 The garlic will be golden brown and it will slide right out of it's shell with a little help from a fork, or you can turn the head upside down and squeeze the garlic right out and into your dish or a bowl. 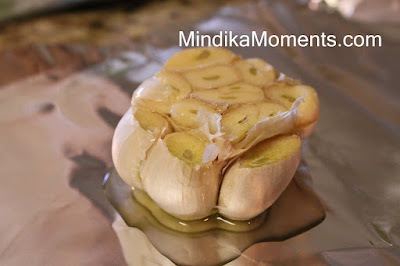 Now that you have yummy roasted garlic...stay tuned for my ROASTED GARLIC ROSEMARY CHEESE POTATOES. I love roasted garlic. Mmm. I love that it is this easy. I only wish it was faster.